Some people assume that one type of writer is just as good as another; the assumption is that the primary skill of a writer is the ability to write well, so that skill should transfer pretty easily from one type of writing to another. This isn’t always the case, however. 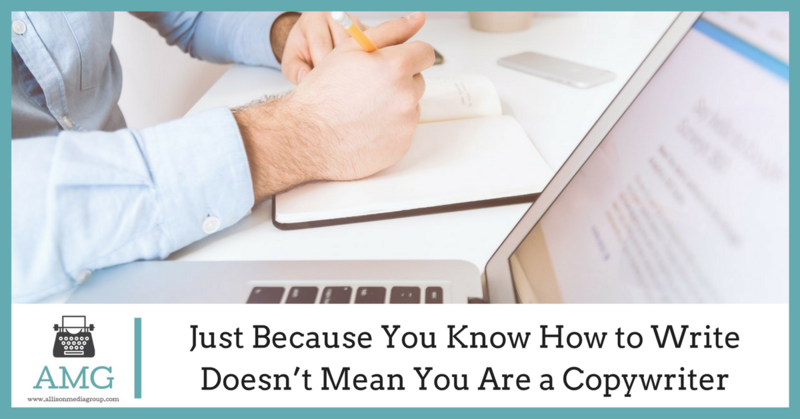 This is especially evident when you take the skills of a creative writer and try to use them for a copywriting position… it just doesn’t work. The reason for this is that the ability to write well isn’t a single skill, but instead a set of skills that exist across a wide range of genres and writing types. A sci-fi writer may not be good at writing romance, a poet may not do well when writing white papers and a creative writer won’t be able to take those skills and apply them directly to copywriting. The big issue here is that copywriting isn’t just writing. 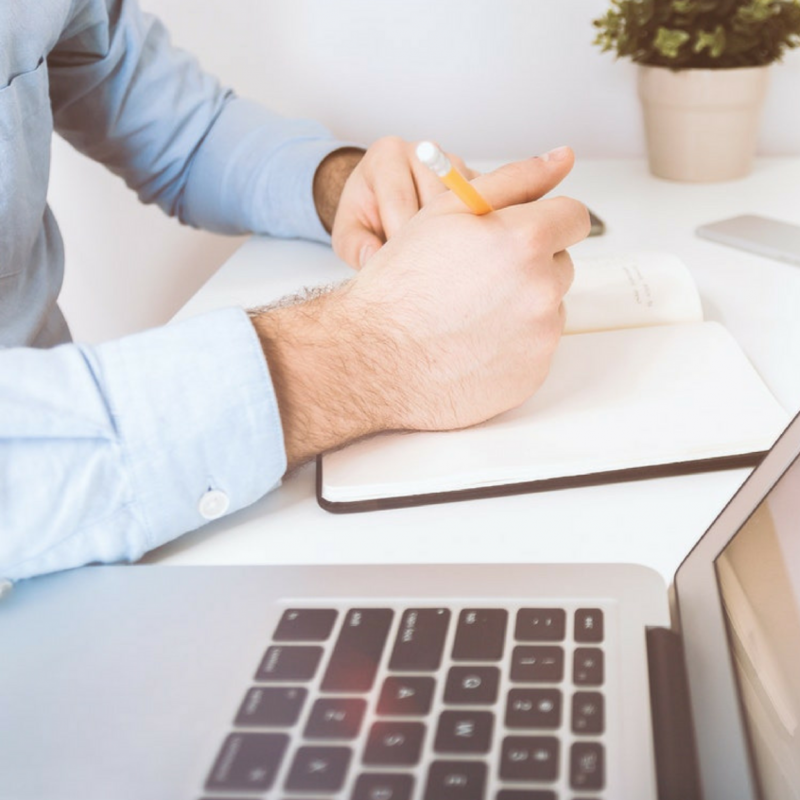 Copywriting is a marketing position, and the copy that’s created has to work effectively not only as a written work but also as a sales pitch. Even if the copy isn’t directly pushing a sale, it still needs to support the overall purpose of the site or ad that it appears in. You’re not going to accomplish this with run-of-the-mill prose, as even very good prose isn’t going to easily grasp the specific techniques that copywriters utilize in their work. Effective copywriting requires a number of skills. Copywriters need to know how to write, yes, but they also need to know how to optimize their writing for the task at hand. They need to know about marketing, research and what clients are looking for in their copy. They’ll need to know the industry that the client works in, or at least know enough that they can supplement their knowledge with research. Someone without all of this knowledge can write copy, but it won’t be effective and it won’t give the client what they want. Because of how important copywriters are to marketing efforts, clients want professionals with proven experience that they can rely on. Samples are usually required, and references are checked when possible. Copywriters don’t usually come cheap, and clients want to make sure that they’re getting more than just well-written prose before they shell out a copywriter’s fees. For copywriters, this is a full-time job. Each project they take on helps to build their portfolio and hones their skills that much more. This is the sort of experience that you can’t fake even with a lot of research, and it’s exactly the sort of experience that businesses are looking for when they hire a professional copywriter. If a writer wants to become a copywriter, she can; writing experience and the ability to turn a nice phrase certainly won’t hurt. It’s not a transition that can be made overnight, however. A lot of work, a lot of training and a good dose of humility will all be required to start learning skills above and beyond writing good material. It may be an uphill struggle to start with small clients and slowly build up a professional resume, but that may be what it takes. 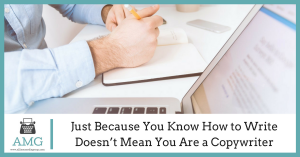 Just because someone knows how to write doesn’t mean that they’re a copywriter, but if they’re willing to put in the effort they could become one someday.